Do you remember that kid from high school? You know the one - the guy who tried to rip up his copy of Jane Eyre in class. Or the chicks and dudes in art club whose only creative endeavours entailed tie-dying shirts with bleach and vandalising hallways in the name of dada. Or the kids that capped every major project with an amateur video held together by class-wide running gags and jump cuts. No one could ever predict what stunt they were about to pull next; no one could ever match their aura of cool. And what’s more, they didn’t have to try; high grades and loyal fans just gravitated to their orbit. Through the stealthy bass workouts of Sneaks, Eva Moolchan resembles that kid. Since the slick debut Gymnastics, the DC-based scenester toyed with language and rhythm like a card shark, winning game after game with uncanny moves and a wry poker smirk. But even though Moolchan rewrote the rules on It’s A Myth, admirers still knew what to expect - basically, more ESG bumps, more ninja takedowns hidden in riddles, more quirk for their buck with the added assist of some funky synths. 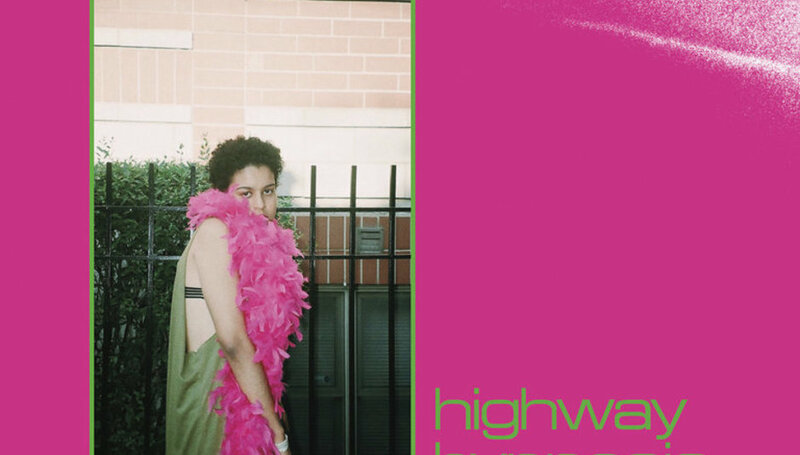 With Highway Hypnosis, the cool kid sets the trend yet again - now floating almost entirely away from the bass, Moolchan cranks down the tempo for a decisively more urban flair that draws from the streets of Lisbon, Atlanta, and London in equal measure. And somehow, even with all this new swag, our sneaky protagonist loses none of the prankster wit that turned heads in the first place. Harder to spot, though, is the coded commentary hidden under Sneaks’ logic-defying tricks. If you’re not paying attention, for instance, you might not realise that Moolchan scopes out dudes AND chicks in the same album, the latter punctuated beyond doubt with the self-explanatory bass crawl ‘Holy Cow I Never Saw A Girl Like Her’. In a pool of artists that flash unambiguous warning signs against Trump and the age of anxiety, Moolchan prefers to send signals in Morse code. Elsewhere, the request to “get a little closer might be less a come-on and more the antidote to social media’s unnatural magnetism, as snarkily observed in the title track: “when we go on date, yeah / takin all those pictures / make sure they are rated / so I get addicted. Decoding those shrouded critiques underneath makes repeat listens even more engaging, even though the weirdo perks at the surface (like the Sneaks! shout out wedged exactly once into ‘The Way It Goes’) really never get old. As for that kid in high school, their popularity or coolness rarely ever pan out into adulthood. But unlike those schmucks, who either get stuck in their hometown or turn into dimensionless real estate agents, Sneaks is still turning heads in the hallway.